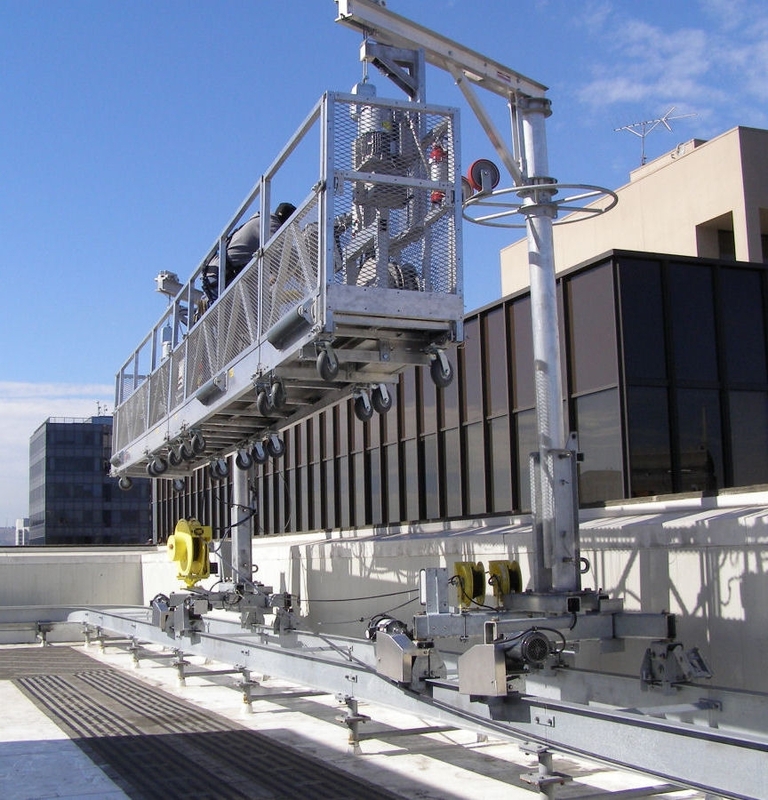 Powered Davit Carriage — Sky Rider Equipment Co.
Track Mounted Davit Carriages permit easy transfer of a roof rigged platform through congested roof areas or over tall parapets. The carriages are typically attached to a roof mounted track system. Optionally, they can also be attached to a structural parapet, which is very useful if the parapet is more than 6 ft tall. 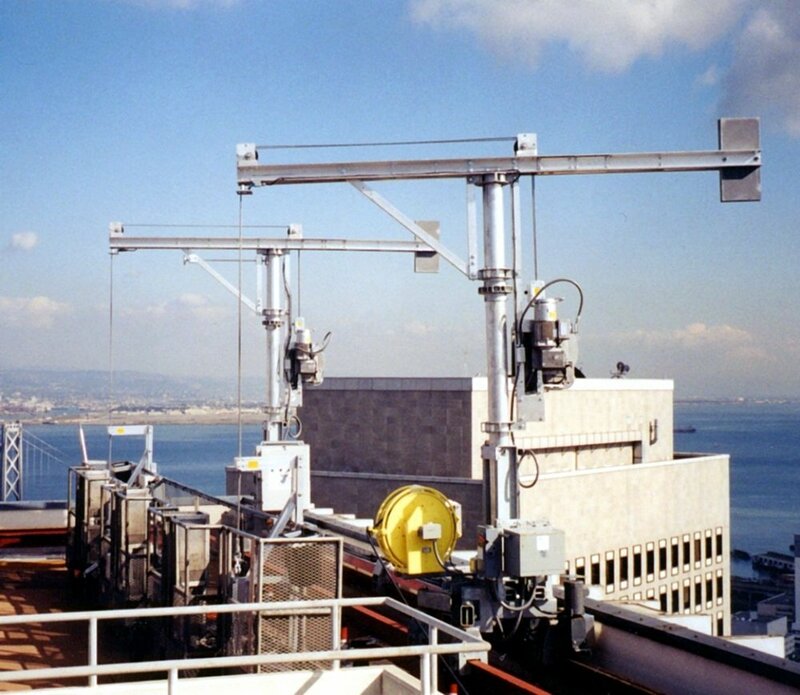 The two types of Powered Davit Carriages are Roof Mounted Davit Carriage System, where the track is anchored to the roof structure with either steel or concrete, and Parapet Mounted Pipe Track System, where the track for davit carriages is mounted to the structural parapet.